All players will be challenged by this fun and progressive curriculum designed to get maximum touches on the ball while also focusing on various Speed and Agility footwork patterns. Each player will leave this unique program with a stronger technical skill base of 1 vs 1 moves, turns and individual explosive power to win 1v1 battles. Players born in 2000-2009 welcome as players will be organized into age-appropriate groups for the sessions. 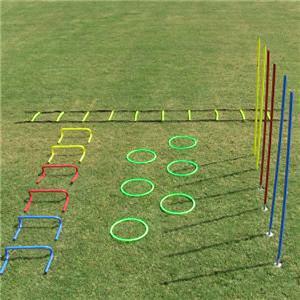 Speed/Agility & Ball Mastery 1 will start off basic in week 1 and will build every week making it more complex and challenging each player to push themselves to maximize their individual potential. The sessions will have a low player to coach ratio to help get the most out of your Nether + experience.